WORLD TOUR VIP ANNOUNCEMENT!!! VIP Upgrades for our upcoming North American dates will be on-sale this Friday at 10am local time! For the first time, we’re going to have one VIP package that includes everything you’ve been asking us for (and more). 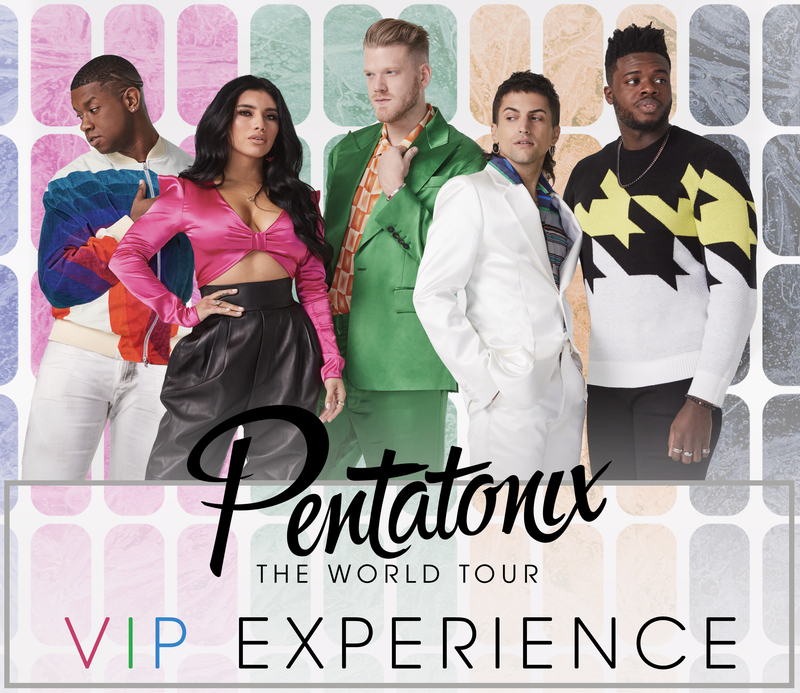 The “Pre-Show PTX Party Meet & Greet Upgrade” will include a private performance in our PTX pre-show suite, an intimate meet and greet - with an autograph session and photo op, exclusive merchandise, a backstage tour and more. Visit ptxofficial.com/vip to see what else is included in our Meet & Greet Upgrade package!